The Culling 2 is in development. You might be forgiven for having forgotten one of the OG battle royales amongst the recent spate of new kids on the block, but now the game that helped kickstart an entire genre is getting a sequel. Developer Xaviant announced the new game earlier today on Twitter. It’s a bold strategy, as while The Culling might have been way ahead of industry trends, it didn’t exactly have an easy development. After an initial Early Access release in March 2016, its full release came in October 2017, at a time when PUBG was at its height and Fortnite Battle Royale had only just been announced. Here’s our list of the best battle royale games. 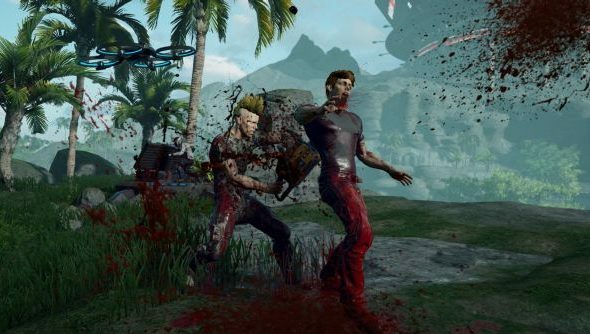 Then, two months later, in December, its developers announced that there were “no future updates planned for The Culling.” That came amid news that its player count had fallen from an Early Access peak of more than 12,000 to a low of 73 just after launch. That’s no LawBreakers, sure, but it was only enough players to run four simultaneous games. Clearly unfazed by that dramatic drop-off (which, bear in mind, was only six months ago) Xaviant is wading back into the fray. The game’s official Twitter account posted the number ‘2’ earlier, accompanied by a gif announcing The Culling II. If last time out was tough, this time around could prove even more difficult – PUBG is still pulling in more than a million concurrents, while Fortnite now boasts 125 million players. There are also a handful of other, smaller games, like The Darwin Project and Realm Royale which will have helped hoover up some of the remaining playerbase, and both Activision and EA will launch their own battle royales later this year.